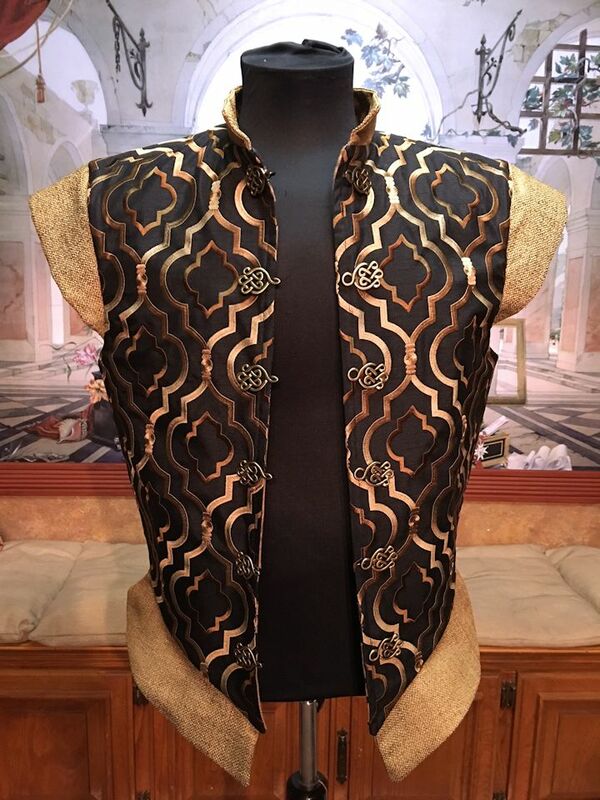 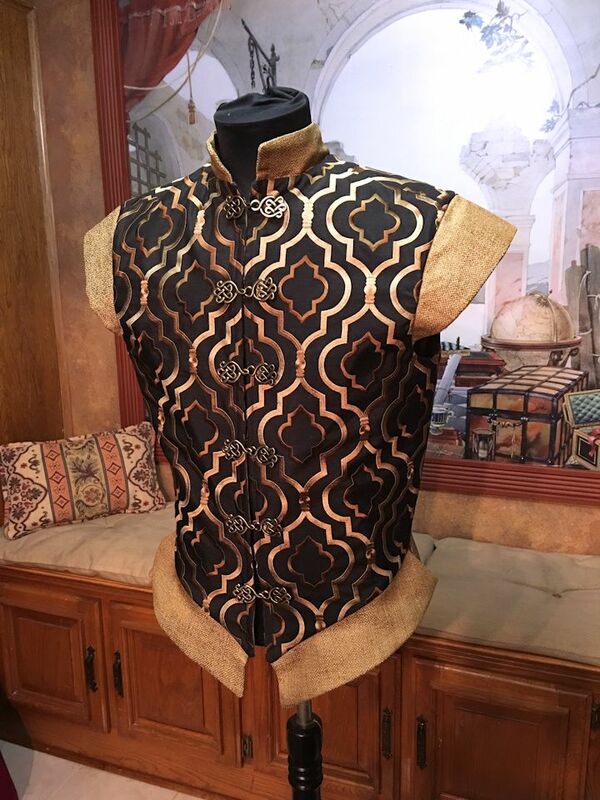 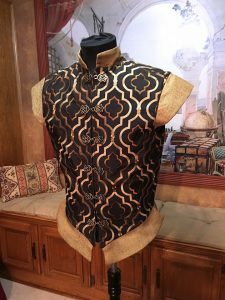 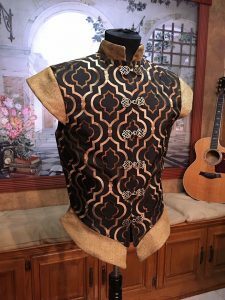 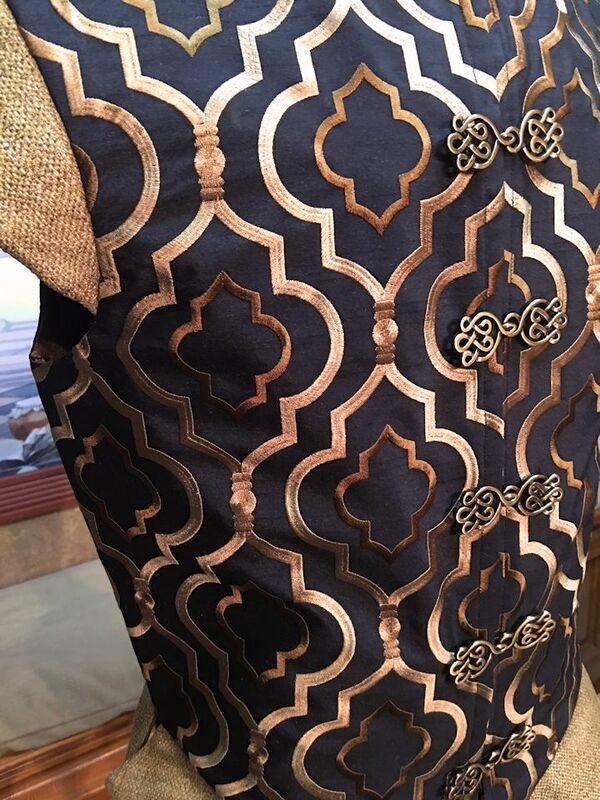 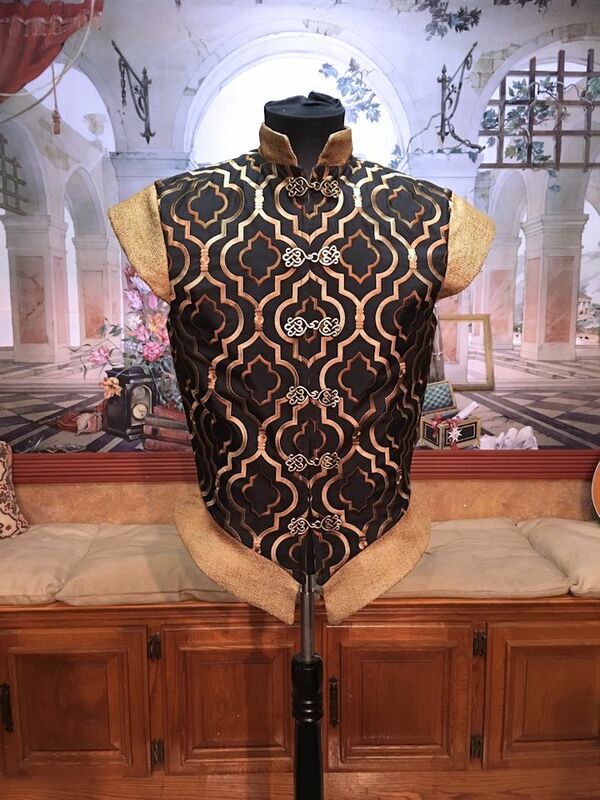 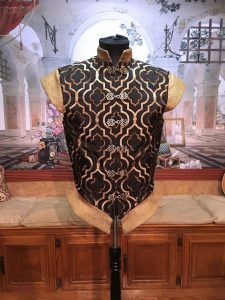 This elegant doublet is made with a handsome woven black fabric with an embroidered design in several shades of gold. 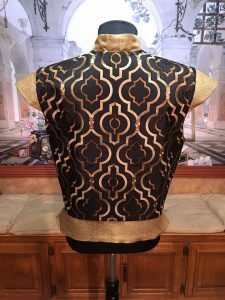 It is lined with medium weight upholstery fabric and interlined with heavy weight interfacing. 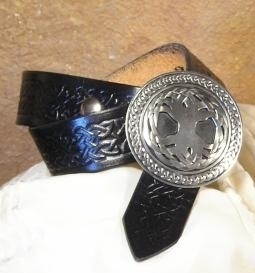 Six antique gold clasps adorn the front. 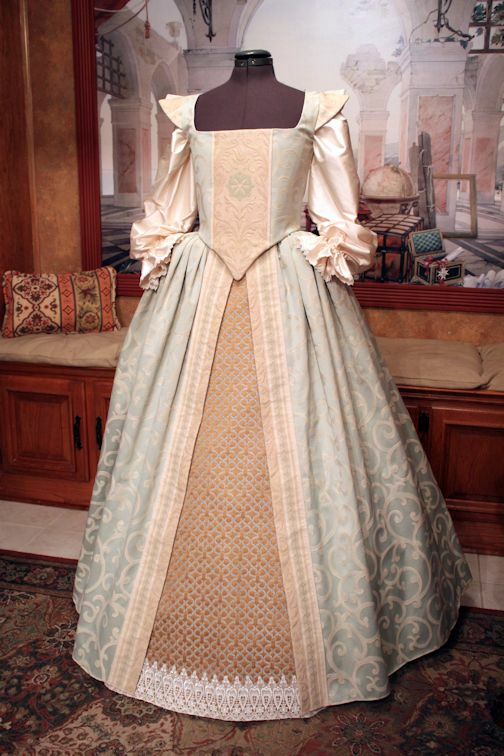 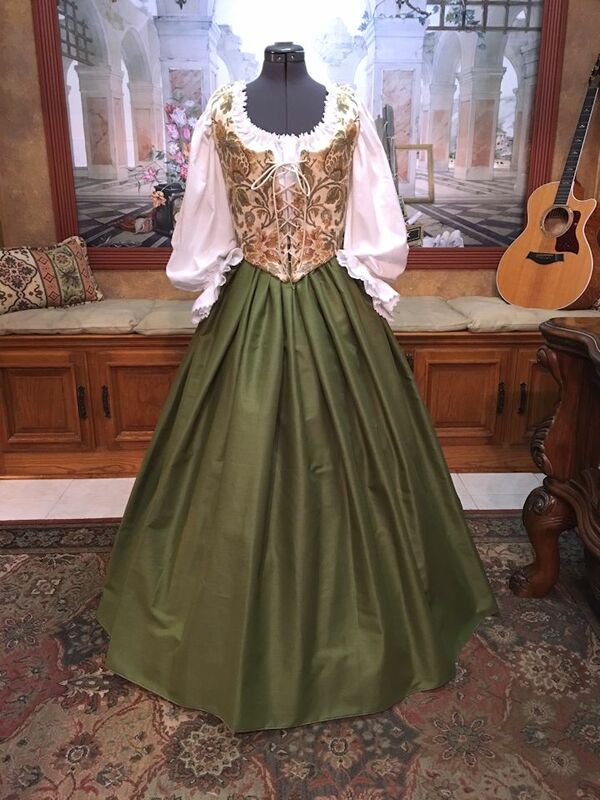 The shoulders caps, collar, and waist skirting are made with a coordinating gold basket weave fabric. This doublet is made when ordered in standard chest sizes 30 through 52. 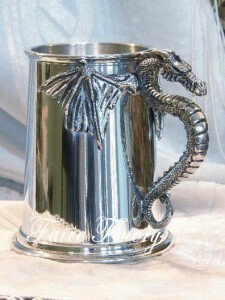 I do adjust for torso length but not for ale bellies. 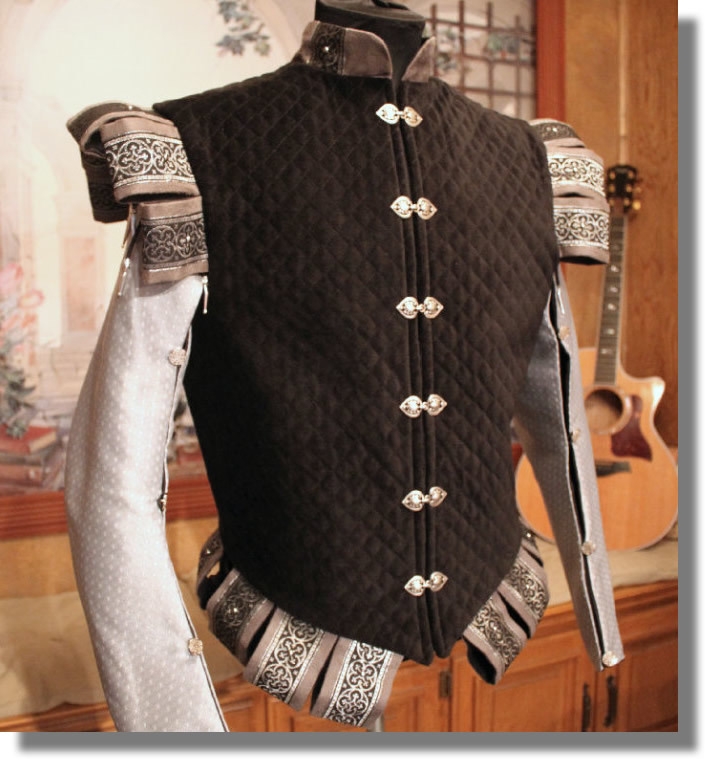 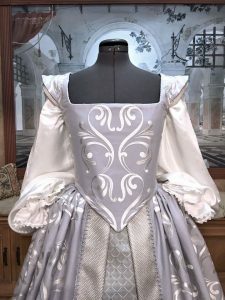 I can make detachable sleeves for this doublet. 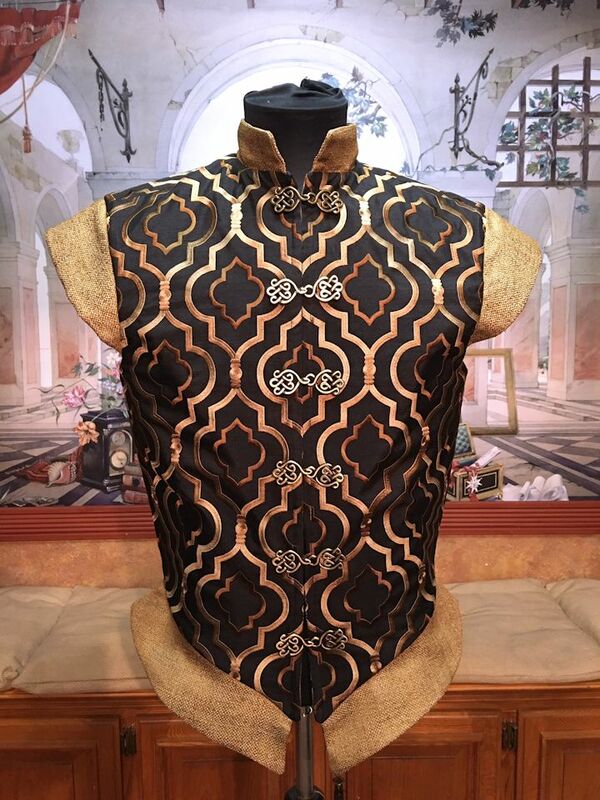 Please email for details and pricing.